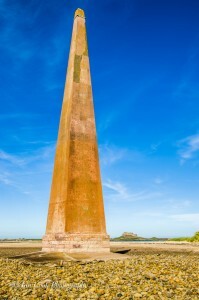 The Old Law Beacons stand at the tip of a sandy spit on the south side of the entrance to Holy Island harbour. 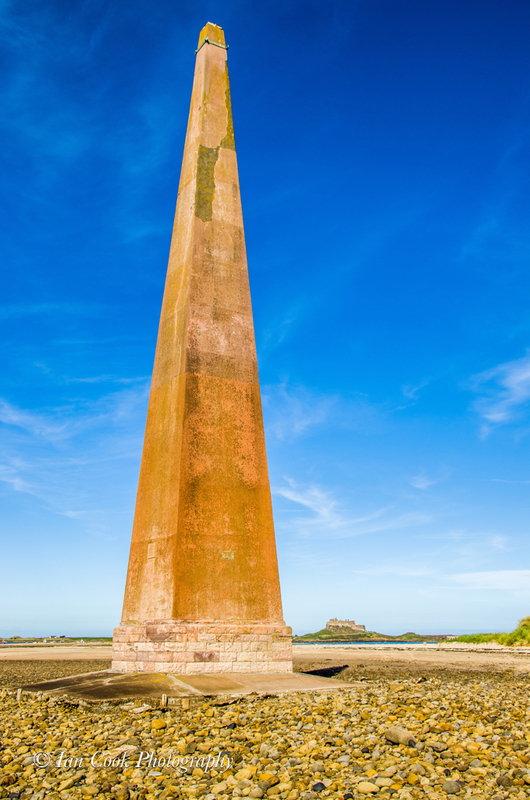 Although the Trinity House website dates them to 1859, Tony Denton, in Lighthouses of England and Wales: A Complete Guide, writes that they were designed for Trinity House by John Dobson, a Newcastle architect, and built between 1820 and 1840. 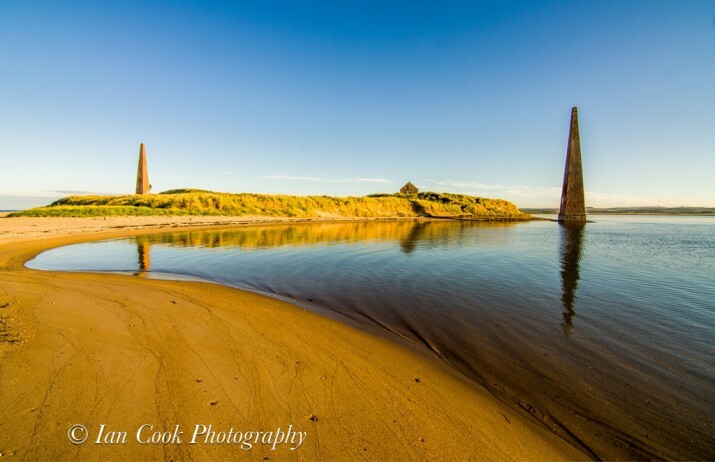 Whatever their purpose, both past and present, please do have a gander at Ian Cook’s photo gallery which also includes beautiful photos of Lindisfarne itself, one of the most magical places in the British Isles.